Words by Dean Campbell, photos by Jason Nugent. 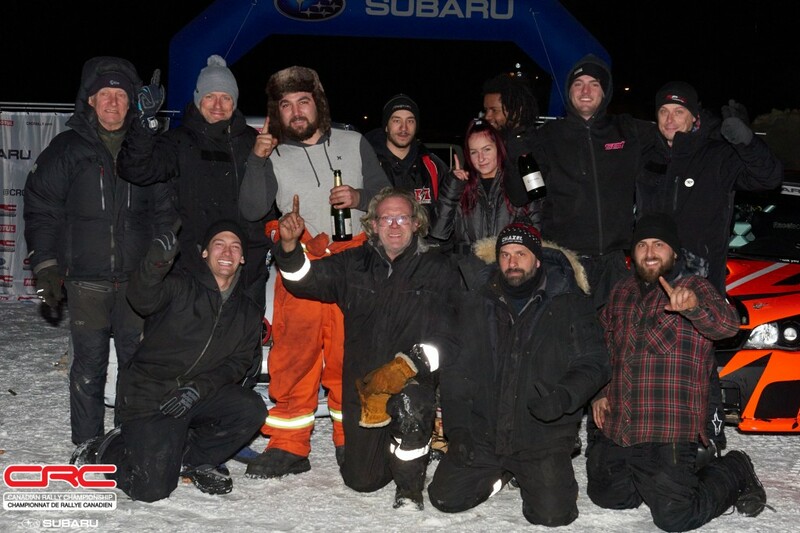 Antoine L’Estage and Alan Ockwell returned to the Canadian Rally Championship true to form, winning the 2019 Rallye Perce Neige running as privateers on the Swap Shop team. 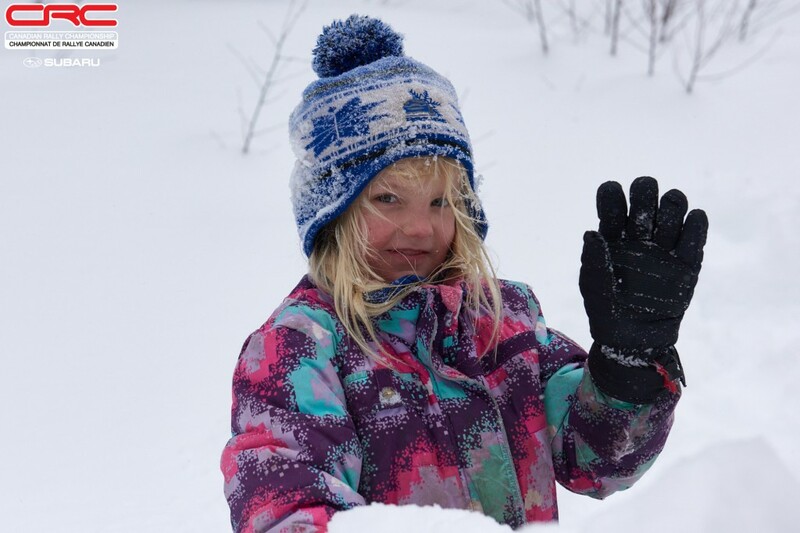 The pair chose their moment and attacked on the first pass of Kitigan Zibi, where their tire choice proved correct for deep snow on the road surface. The deal to have the champions drive for Swap Shop at the season opener was a fairly recent development, with everything coming together in the last four weeks. The pair drove Maxime Labrie’s former car, after a significant rebuild process. The event was not without a few technical issues. A problem with the handbrake developed on the first leg of stages, and power steering failure struck on the first long forest loop. Running the event with Swap Shop was meant to be a test to see how well L’Estage and Ockwell worked with the rest of the Swap Shop team before any decisions are made for the rest of the season. No doubt a victory will give everyone involved something to consider as they look ahead to the rest of the year. 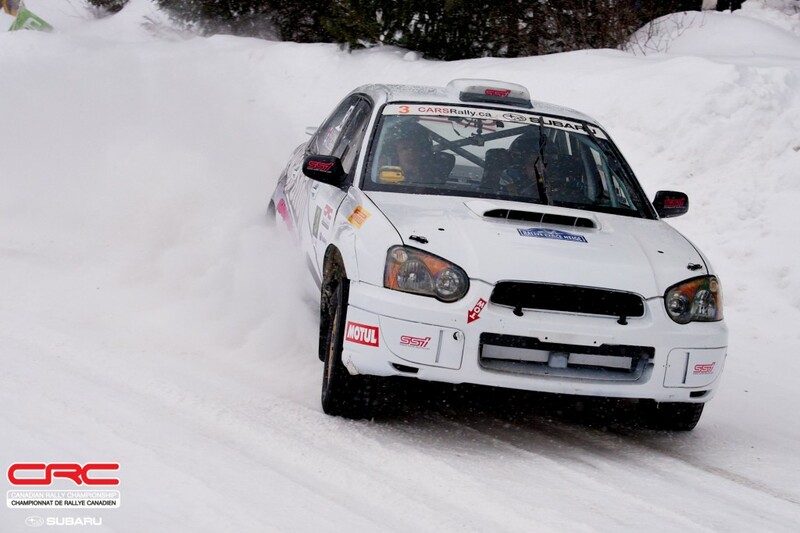 Karel Carré and Samuel Joyal were fast on pace but made a couple of tactical errors through the rally. On the morning stages, the pair stretched out a small lead ahead of the L’Estage and Ockwell and reseeded into first on the road heading into the long forest stages. The TEST Racing teammates opted to run studded ice tires but lost an immense amount of time on the first pass of Kitigan, losing two minutes over 39 kms and dropping down the order to third overall. Still, it’s a strong performance from rising talent, and a keen lesson learned about road position and tire choice. The pair can be proud of a strong result to kick off their 2019 season and their championship defense. Rounding out the podium after a consistent drive was Crazy Leo Urlichich and Max Freeman, driving a Production 4WD class Subaru WRX STI. The pair hardly put a foot wrong all rally and arrived at the finish ready to celebrate. 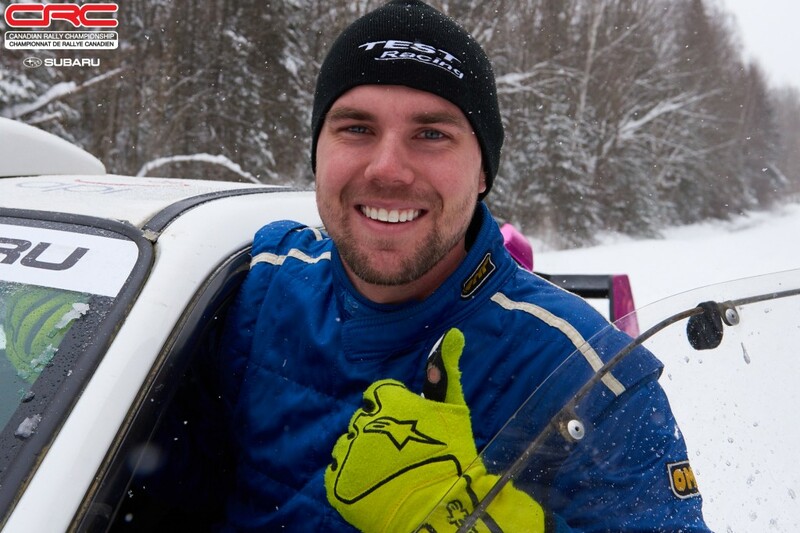 Maxime Labrie had high hopes to get a lot of seat time in his new car, the former Subaru Rally Team Canada car built by Rocket Rally. 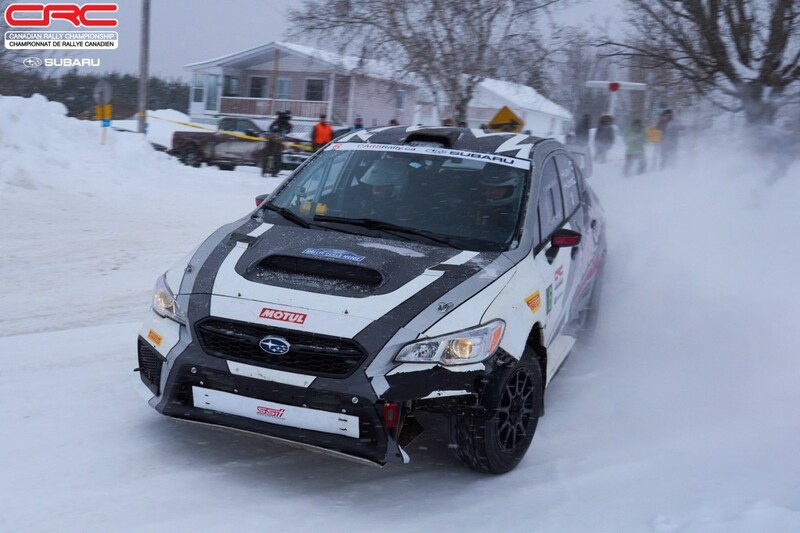 However, a spin in the tight confines of the first pass on the Kitigan Zibi stage forced the team to retire and restart the rally. 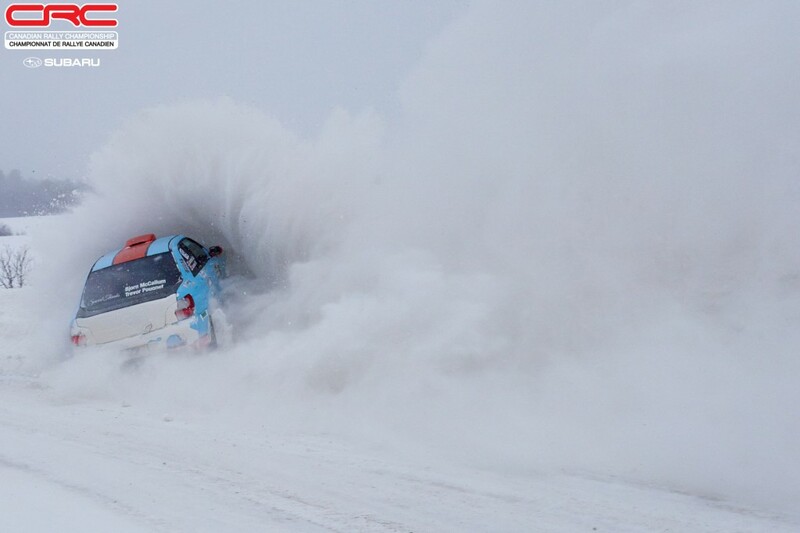 Further problems dogged the team on the final leg of the rally, and they once again had to retire from the event. Meanwhile the 2WD podium was won by Philippe Benoit and Ian Guité. 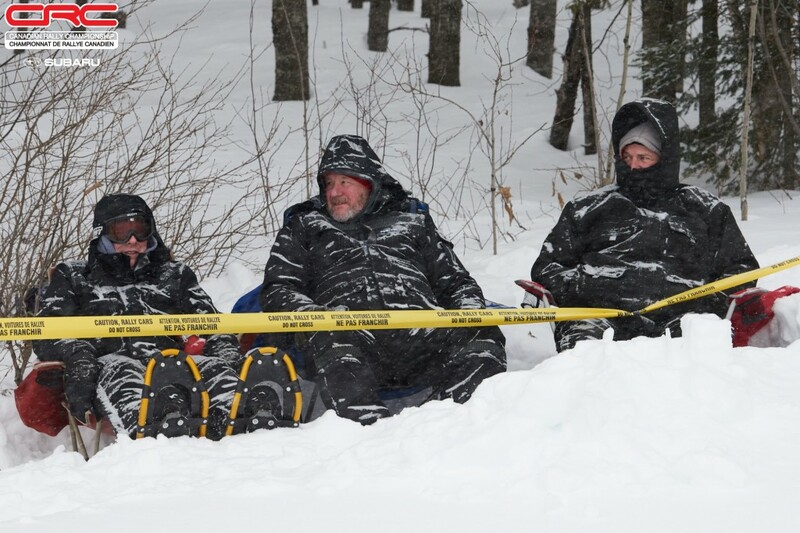 The pair lost 13 minutes in a snowbank when they deliberately ditched the car to avoid another stopped competitor. They were able to petition and got the time back which was enough to move them back into first place in class. The team has quickened their pace over the last two seasons and have been rewarded with podium results along the way. This is their first national 2WD victory. Mal Swann and Martin Cadieux finished second in 2WD running in a front-wheel-drive VW Golf, Swann’s first event with that drive layout. An avid fan of rear-wheel-drive, Swann has prepared a Mazda RX-7 and has intentions of taking on the whole national championship. Finishing third on the podium were Americans Chris Greehouse and Ryan Dunham. On arriving at the finish, Greenhouse was unaware of the reversal of Benoit’s lost time and thought he had won the class. It was a crushing realization that dulled any shine from having finally finished what has been a difficult event in past years for the American driver. Fourth overall went to André and René Leblanc, from New Richmond, Quebec. 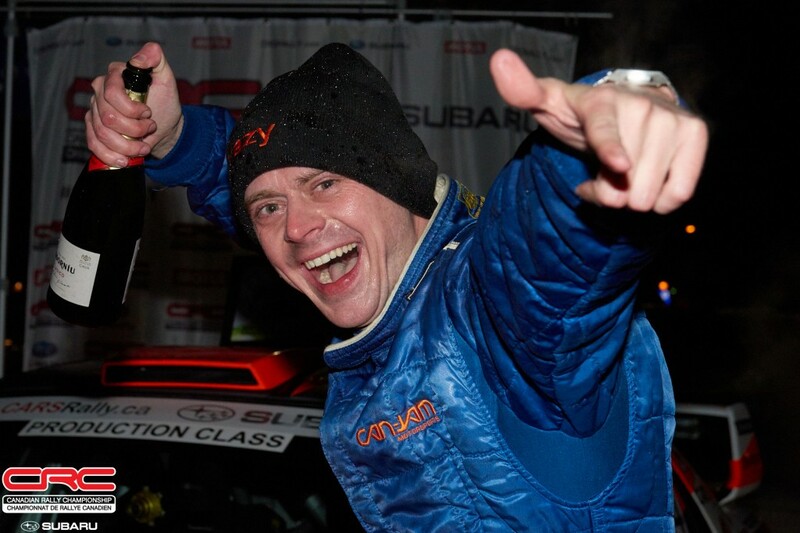 The pair are happy to have had a decent finish, having really struggled on the Kitigan stages in earlier editions. Last year, they had to stop to change two flat tires. Marc Bourassa and Elise Racette rounded out the top five, less than 30 seconds back from the Leblanc brothers. 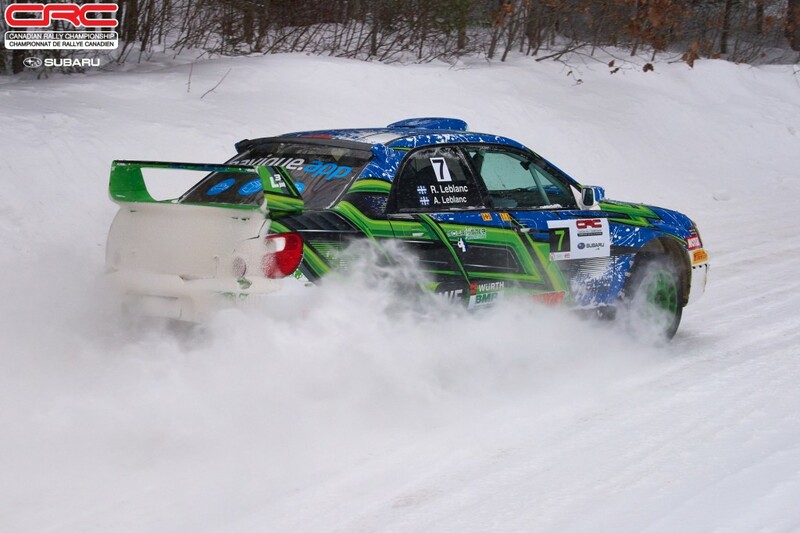 Kudos to Sylvain Erickson and Aaron Crescenti who brought Erickson’s custom-built open class Hyundai Accent to a sixth-place result. The team did stuff the car into a snowbank, and had to restart, but clawed their way back up the order. 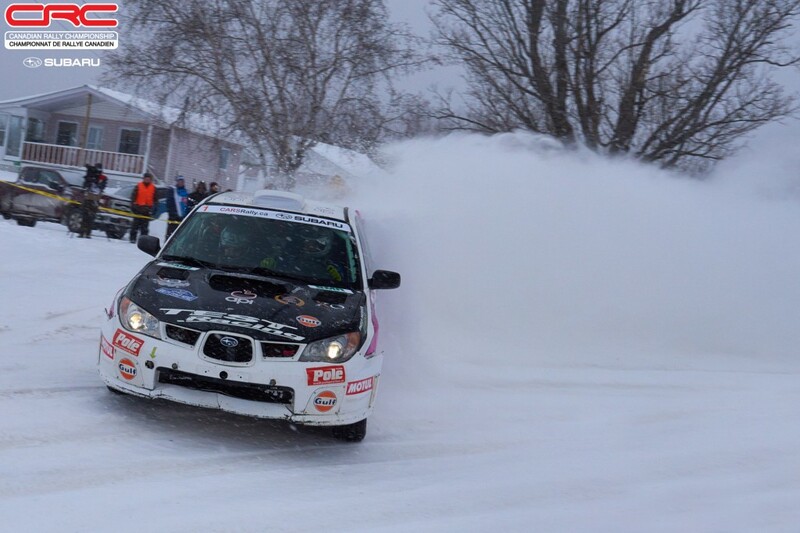 Rallye Perce Neige is a testament to the spirit of rally. At 240 km of competitive stages, it is one of the longest events in the championship, and yet it is one of only two rallies that is run in a single day. With daylight fading early, teams must fight fatigue while racing in the dark, deep in the woods north of Ottawa. Survival here is, for many, success. Victory is a feat. 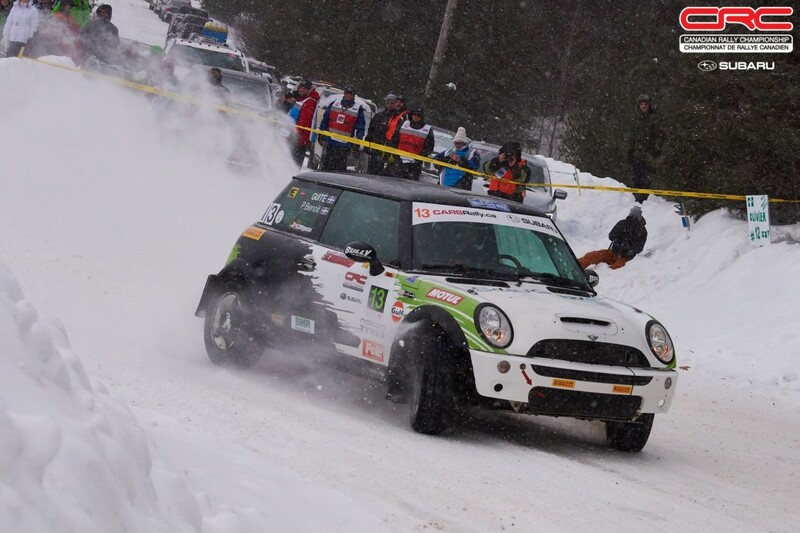 The Canadian Rally Championship continues in May with the Rocky Mountain Rally. You can follow the series on Facebook and Instagram.